The Female Undead Merchant is an NPC in Dark Souls and Dark Souls Remastered. She sells useful consumable items and throwable weapons as well as special ammunition. Please see Undead Merchant for the male NPC. 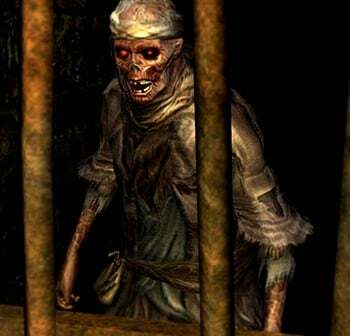 The Female Undead Merchant is located in the lower parts of the Undead Burg (Section 2), on an aqueduct that links to a shortcut taking you to the Firelink Shrine. Be mindful not to confuse her with a Hollow and kill her. If the merchant is attacked, she will retreat farther down the aqueduct where you cannot attack her, and will begin a very long rant on how useless you are. However, she can be killed if you attack her with a weapon powerful enough for her to lose all of her HP. she doesn&apos;t sell prism stones. that&apos;s a lie. Just like my teammates when they die. if i attacked, she cant sellme stuff 4eva?